With graduation ceremonies just about three months away, only 42 percent of DC Public Schools seniors are on track to graduate this year, according to a mid-year update from the school system. D.C. public school students who started ninth grade in August 2014 were evaluated in the mid-year update. This came out to be almost 4,000 seniors total. About 2,298 of them are not on track to graduate on time, the data says. The city school system reported there are students who are currently failing one or two required classes but could graduate this year if they take steps to change their current trajectory. “DCPS estimates that more students will become on track for graduation in June and August 2018 by completing their current courses with passing marks or by taking and passing credit recovery courses and/or summer school in alignment with current policy,” the report said. 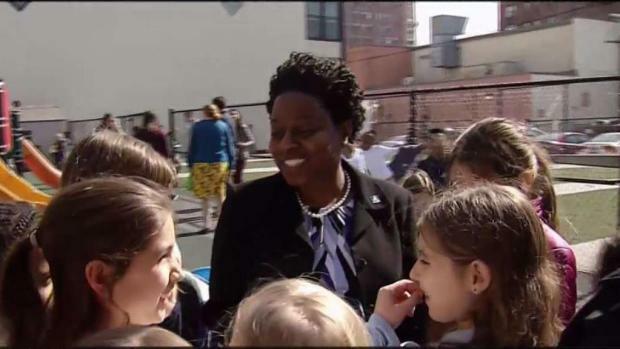 Amid a number of problems within DC Public Schools, interim chancellor Amanda Alexander speaks about her vision for the schools. "The main way that I can restore confidence is just to be transparent," she said. News4's Mark Segraves reports. 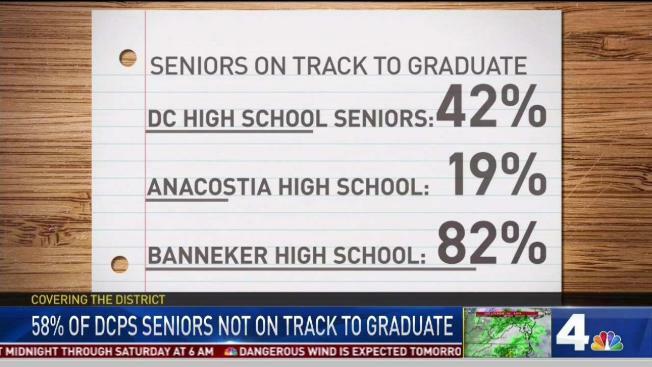 Luke C. Moore High School and Ballou STAY High School both reported that more than half of their students are “significantly off-track,” which means, even with summer school, they are not expected to graduate this summer. The two schools tied at 52 percent for the highest percentage of students likely not graduating at the end of this school year. In addition to the projected graduation rates, the memo also shows that chronic absenteeism across the city continued into the months after news broke that DCPS seniors were receiving diplomas despite missing too much school. DC Public Schools Transformed After Decade of Reform? Eighteen percent of seniors in D.C. had 10 or more unexcused absences in at least one course. Nine percent had 30 or more. At Washington Metropolitan High School, one-third of seniors had 30 or more unexcused absences in at least one course. At Duke Ellington School of the Arts, McKinley Technology High School and Benjamin Banneker Academic High School, that figure was zero percent. Seniors in the District and their parents were set to meet with school counselors and administrators to discuss their graduation status. 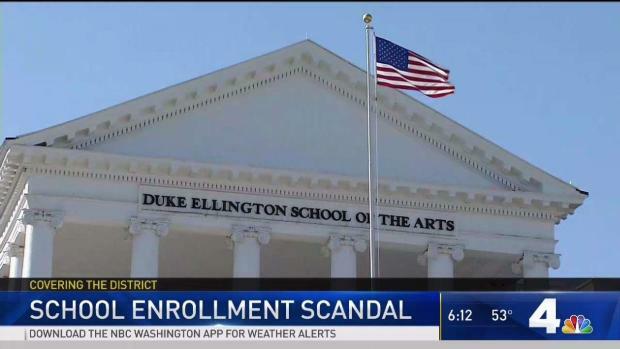 A number of families with students at Duke Ellington School of the Arts are accused of committing enrollment fraud by registering at the school though they do not live in D.C. News4's Mark Segraves reports. The mid-year update said at least 83 percent of seniors had met with a counselor or administrator at almost every high school. The major exception to that was Woodrow Wilson High School, where only 67 percent of seniors had the meeting. DCPS is set to host resource fairs at high schools to provide students and families with information about graduation paths, summer school and credit recovery. Ballou High School hosted one in February, and the fairs are scheduled to continue throughout March in other local high schools. Go here to see the full report from DCPS.